My name is Adam Miller, I am a computer geek and this is my tiny corner of the internet. I am a loving husband and father, an open source fanatic, a member of the Ansible Core Development Team, a Fedora contributor, Red Hatter, and over all lover of technology. I work at Red Hat on Ansible. 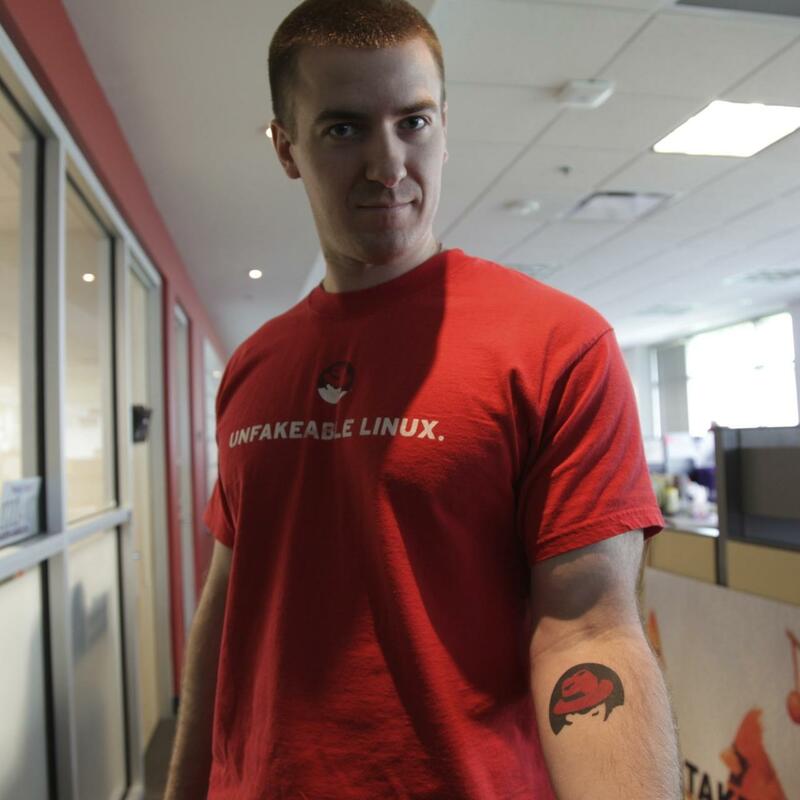 Both Red Hat and Ansible mean something to me, I take a lot of pride in working for a company that believes in and understands Open Source Software at it's core as well as being a part of an open source project that excites a vibrant community as much as it excites me. I'm extremely passionate about open source software and it is genuinely a large part of why I wake up in the morning. I live for this stuff, it's a part of me, and it's why I have Red Hat Shadowman and Ansible tattoos on my person. I go by maxamillion in most areas of the nerd web and can often be found there (except Twitter, I was late to that game). In the nav bar will find various items about me, my work, projects, and other stuff including my blog. If we have the opportunity to meet in person, this is roughly what you should be looking for.